If you are an adult interested in baptism, please visit our RCIA page. We encourage you to consider baptism preparation prior to the birth of your son or daughter, if you can. Taking the time now can help eliminate the need for baby sitters and adds to the joyful anticipation of your child. Please ensure you have a birth certificate for your child that has the names of both parents printed. This is called "personal information AND parentage". WHY would you have your child baptized? Check out this short video to see why! 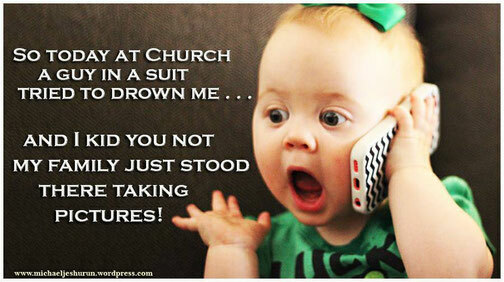 All parents need to attend the baptism preparation class. Godparents are strongly encouraged to also attend. Location: Church Basement (look for a sign on the door). A photo copy of the child's birth certificate with "personal information AND parentage". For children between the age of 3 to 6 years of age. They are to attend a one hour class. This form is available at the church office and also given at the Parent Baptismal Preparation Class. If you would like to print it off and fill it out before hand........ Click here!